Born in Marblehead, Massachusetts John Clayman was a water rat from an early age; quickly progressing from small boats to CCA Ocean Racers at a time when the offshore superboats of the day were such classics as TICONDEROGA, BOLERO and ONDINE. Fortunate to sail with some of the best in his youth, he was schooled in the arts of seamanship, proper maintenance and navigation before electronics. 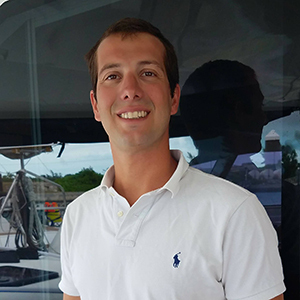 After graduating from Dartmouth College, where he was a member of a National Intercollegiate Sailing Championship team, John chose to follow his passion and he studied Naval Architecture and Marine Engineering at M.I.T. During this period, he also learned hands-on how to build and repair all sorts of yachts. When a death in his family required him to jump into a family business, he set aside his ambitions for the next sixteen years to manage the manufacturing firm with 300 employees and sales in 46 countries. John managed time to cruise and race extensively aboard his 1937 classic 57′ sloop built in the UK and to acquire an interest in a full-service yacht yard, which he still owns today. Beginning in 1996, it was only natural for John to return to his roots in the boating industry where he rejoined the legendary Ted Hood at Little Harbor first in the design office and eventually as General Manager. As the East Coast distributor for Selene Ocean Trawlers, he was instrumental in introducing and refining these displacement powerboats. 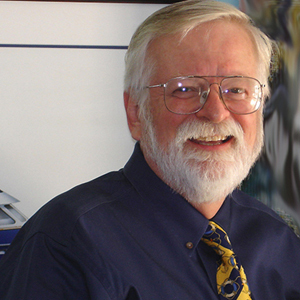 In 2005, John teamed with Marine industry veterans Stephen R. Seaton and L.E. “Nick” Nicholson to form Seaton Yachts to specialize in the design, construction and sales of new and brokerage seagoing sail and motoryachts. A veteran cruiser under both sail and power with countless sea miles, John brings decades of experience in the design, construction, and marketing of cruising boats to Seaton Yachts. 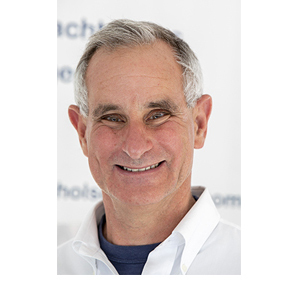 He is a licensed Florida Yacht Broker, a YBAA Certified Professional Yacht Broker, serves on the board of the United States Superyacht Association and is a longtime member of the New York Yacht Club. He has a nearly encyclopedic knowledge of most of the high quality seagoing sailing and power yachts worldwide and he prides himself on providing Seaton Yacht’s clients with unsurpassed service. Steve Seaton’s name is synonymous with offshore cruising powerboats. In the last 40 years, he has produced more than 400 designs, many of which are long-range cruisers that define the modern trawler yacht. Seaton’s boats are widely valued for their seakindliness, efficiency, and timeless good looks. The “Seaton look” has been widely imitated throughout the industry, but an original Seaton design has a style and ability all its own. 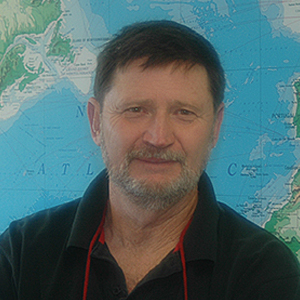 Nick Nicholson was for 25 years an editor of the Practical Sailor, the marine industry’s hard-nosed consumer magazine. During a 15-year involvement in the technical side of the America’s Cup and the Volvo Ocean Race, he developed unprecedented experience in high-tech composite construction and sophisticated engineering systems. In his “spare time” he built a cruising sailboat and completed a 30,000-mile circumnavigation. Nick’s know-how and insight will be especially valuable to our clients interested in new construction projects. 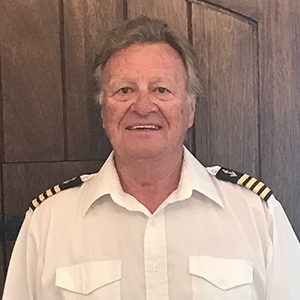 Captain Harry van Bommel has professional experience that covers many facets of the marine industry, both private and commercial. A USCG licensed captain who’s delivered vessels internationally, he’s also acted as consultant on new and used vessel brokerage as well as new build management. He’s worked on an oil platform dismantling project and in tugboat and crew operations. He’s also served as a charter yacht captain for personal and corporate use. Professional credentials include sailing and towing endorsements, certified diving, FCC radio license, current TWIC credentials. Before becoming a yacht broker, David Burns served as professional captain aboard many well-known power and sailing yachts. He managed privately owned yachts as well as those in charter. Over 34 years, he excelled at crew management and vessel administration, including accounting, hands-on systems maintenance, and hull repair. Sailing yachts he’s captained include Whitefin, Sea Angel, and Kaori (ex-Mandalay). Motor yachts include Relemar, Monte Carlo, Sun Chaser. Over his career, Burns completed seven ocean crossings as captain and navigator. Burns has hands-on experience with cruising grounds in the coastal United States, Bahamas, Caribbean and Western Mediterranean. He lived in Italy for five years while running S/Y Whitefin; he’s also cruised around the Phuket area of Thailand. 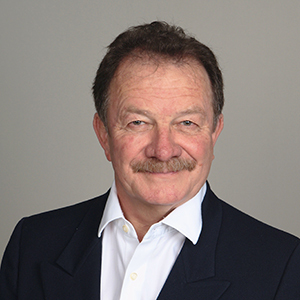 Of Scottish descent, he was born and educated in Cape Town, South Africa. Umberto Moneta’s background as a captain and engineer lends a wealth of hands-on experience to his brokerage role at Seaton Yachts. He has served as the mate of a privately owned 82-ft Oyster that sailed with its owner from Antigua, West Indies, to New Zealand. Upon landfall in New Zealand he became captain and completed two years of sailing between the Caribbean and New England. Once the Oyster sold, Umberto moved on to oversee a new build project with the same owner in France, where Tohora, his custom Nautitech sailing catamaran, was being constructed. Moneta and owner departed in January 2013 for a 20,000-mile journey from France to Australia via Panama and the Pacific. After the Pacific the yacht relocated to the Caribbean and New England areas. Moneta also holds a first-level engineering ticket and spent two years as second engineer on 130-foot Lurssen & Benetti motor yachts in the Mediterranean Sea. He’s overseen the shipping of yachts via cargo ship. Overall, Moneta has accumulated more than 100,000 miles aboard Tohora and other vessels, including crossings of the Indian Ocean, Red Sea, and Suez Canal.